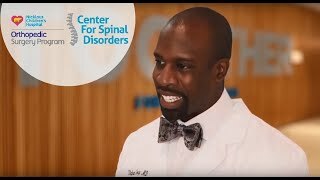 The multidisciplinary Congenital Spine Diseases Program brings together a comprehensive team to treat children with a full spectrum of spinal disorders. The team includes neurosurgeons, spinal surgeons, and rehabilitation specialists who collaborate to provide a comprehensive care plan to support children and families. The surgical team's extensive experience, supported by state-of-the-art intraoperative neuromonitoring and other technologies, enchances surgical safety and preservation of spinal function.